A man was shot to death on Vernon Avenue in Modesto, California, on Friday, December 22, 2017. The Stanislaus County Sheriffs Department is investigating a homicide. Amanda Renteria, a Democrat and former top staff member for Hillary Clinton, running for governor of California, talks about the timing of her candidacy during a visit to The Sacramento Bee Capitol Bureau on Tuesday, Feb. 20, 2018. A 2,170 pound pumpkin won the World Championship Pumpkin Weigh-Off in Half Moon Bay, California. Steve Daletas of Oregon credits the weather in the Pacific Northwest for his success. Daletas, a four-time pumpkin growing champion, won $15,000. 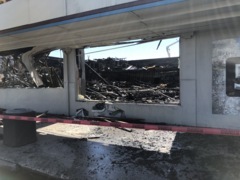 Craig Stott, who co-owns Crescent Work & Outdoor supply store with his sister, Tiffani, talks about the fire that destroyed their business on Friday, Sept. 14, 2018, and about their future in Modesto, California. 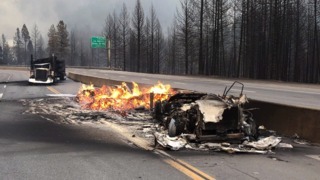 A fast-moving wildfire that started Wednesday, September 5, 2018, in Shasta County has swelled to 5,000 acres in the Shasta-Trinity National Forest, prompting the closure of Interstate 5 in both directions. 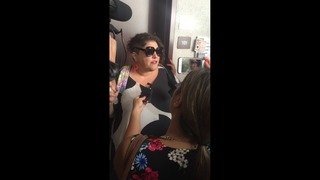 Randa Jarrar, a tenured English professor at Fresno State whose comments about Barbara Bush ignited a controversy for the university, speaks with the media after returning to her classroom Wednesday, Sept. 5, 2018 following a medical leave. 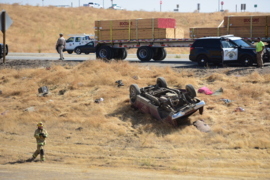 A 34-year-old man and 27-year-old woman were both thrown from a Ford F-150 headed northbound on Highway 99 when the truck went off the roadway near Le Grand Road and overturned about 3:40 p.m. Thursday, Aug.16, 2018, CHP says.